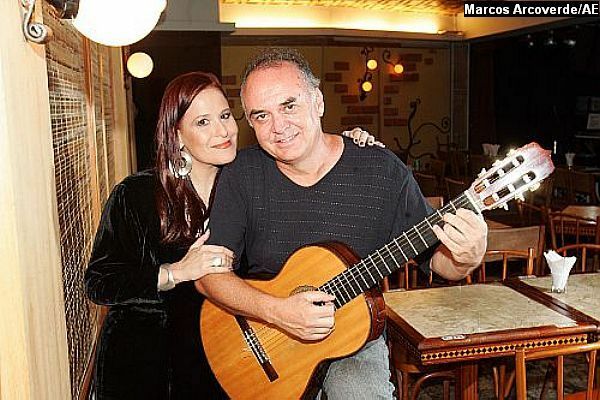 Little did the world know that when João Gilberto (Bahia, 1931) added his special guitar accompaniment and beat to Elizeth Cardoso’s recording of Tom Jobim-Vinícius de Moraes’ “Chega de Saudade,” he was creating a mark for what would become known as Bossa Nova. The year was 1958, and that recording appeared in the LP Canção do Amor Demais (now also available on CD). Tough he had been recording since 1951 (he was crooner with the famous Garotos da Lua group), it was after Canção do Amor Demais that João Gilberto’s solo career took off and made him the star he is today and also garnered him with the title of the Pope of Bossa Nova. João Gilberto was more than an accomplished guitarist and singer. He also wrote a few compositions, a fact that is often overshadowed by his enormous performer talent. Since 2008 marked the 50th anniversary of that legendary recording that started a whole new musical genre, Brazilian vocalist Ithamara Koorax (Rio de Janeiro, 1965) teamed up with guitarist Juarez Moreira (Minas Gerais, 1954) to release an album with the complete João Gilberto songbook. Produced by Arnaldo DeSouteiro, Bim Bom: The Complete João Gilberto Songbook features all vocals by Ithamara Koorax and guitars by Juarez Moreira. Both Ithamara and Juarez need no long introductions. She has recorded with artists all over the world, including Antônio Carlos Jobim, Luiz Bonfá, Ron Carter,Azymuth, Eumir Deodato, Gonzalo Rubalcaba, Sadao Watanabe, and is a renowned jazz vocalist. Juarez, similarly, is admired as a top Brazilian guitarist who has worked with giants such as Milton Nascimento,Toninho Horta, Simone Guimarães and many others. His 1998 albumBom Dia was critically acclaimed and had Milton Nascimento’s endorsement as “a trip to paradise.” When these two artists joined talents to record the João Gilberto songbook, the result could not be far from perfection. The music is great, and the performers honor João Gilberto with probably one of the best tributes he will ever receive. The next 6 tracks are primarily songs without lyrics. Though at times, Ithamara does vocalese as originally performed by João Gilberto in his own renditions, these tracks do not really have words. Here we have a chance to hear Juarez more prominently. He can more freely showcase his artistry as the accomplished guitarist he is. The duets he performs with his acoustic and electric guitars are present in most of these tracks. “An Embrace to Bonfá” and “João Marcelo” are especially memorable. Bim Bom is certainly a well-deserving tribute to João Gilberto. What Ithamara and Juarez did in Bim Bom proves that with talent, one can clearly improve what was already good at the start. These two artists are in rare form and have done a superb job.